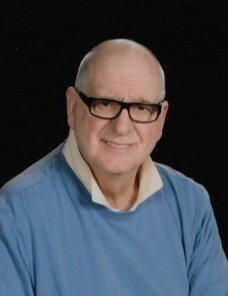 James Frank Denino, 76, of New Milford, CT passed away Monday, January 14 at home. Born November 20, 1942 in Bronx, New York to Frances Leggett Denino and Frank Denino. He sold retail men’s clothing for 50 years. He retired in 2008 from Mitchells of Westport. In his spare time, he drove around New Milford in his beautiful blue 68 Chevy C10 Pick up. He was also known for his blue glasses. He considered everyone he met as a friend. He will be lovingly remembered by his wife Susan, his brother Michael, his sister Arleen Castaldo, his children Valentina Hammer, Anastasia Schroeder, Samantha Verela, Frankie Denino, Ricardo Bazar, and Antonio Bazar along with numerous grandchildren and great grandchildren. A memorial service will be held at St. John’s Episcopal Church in New Milford, CT on Monday, Jan. 21st at 11:00 AM. There are no calling hours. In lieu of flowers, donations can be made to: Stained Glass Window Fund at the St. John’s Episcopal Church of New Milford, The Loaves and Fishes of New Milford, or New Milford Public Library.